Whether you’re new to cannabis, or if it’s just been a few years since you last enjoyed it, this Leafly Starter Pack has everything you need to know about how to enjoy cannabis easily and safely. Check out our list of resources below, or talk to us on Twitter, Facebook, or Instagram to find out more. 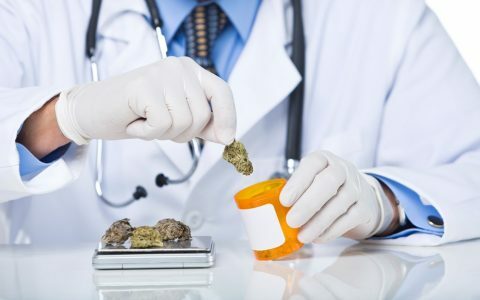 Looking for information on medicinal cannabis? See our Comprehensive Guide Here. Sativa, indica and hybrid: what’s the difference between cannabis types? What makes a cannabis strain unique? What’s a cannabinoid and why does it matter? What is cannabis oil, shatter, and wax? Are you new to cannabis, or have you had a bad experience in the past? There are ways to minimize your chances of having any kind of unpleasant experience with cannabis. These three basic tips will provide the perfect platform to have a great experience. Curious about how cannabis will affect you, or where you can find medical or recreational cannabis? Get the answers to your most basic cannabis questions. Sativa, Indica, and Hybrid: What’s the Difference Between Cannabis Types? Cannabis strains are sorted into three categories: sativa, indica, and hybrid. 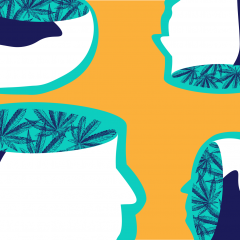 The three groups form the pillars of Leafly’s strain database, and can help consumers know a little more about what to expect from their cannabis. Choosing good cannabis is a lot like selecting fresh produce or flower – you’re looking for something that looks appealing, has a good color, and produces an enticing aroma. Get the key points on how to asses the visual quality of your cannabis. Due to restrictive laws, you may have never seen the sight of a real, living cannabis plant. But when you examine a bud up close, you’ll notice a complex knotting of different parts: from fiery orange hairs to sugary crystals and chunky knobs enveloped by tiny leaves. This guide to cannabis anatomy will break the plant down piece by piece so you’ll know exactly what you’re consuming and why. Two things influence the structural formation of a cannabis plant: genetics and environment. 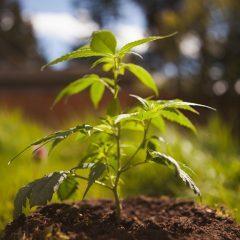 This guide explores the evolution of the cannabis plant and unpacks the factors that go into making each plant unique. Learn about the chemical compounds that offer the wide array of effects and therapeutic benefits associated with cannabis; primarily, THC and CBD. Dive into terpenes, the natural compound oils found in cannabis that give each strain their distinctive flavor and effects. Landrace strains, are indigenous varieties of cannabis that make up the genetic backbone of today’s hybrid varieties. If you’re finding yourself confused by the multitude of ways to consume cannabis, this comprehensive list of ingestion options will set you on the right path. Not everyone likes to smoke, and those with compromised lung health may not even have the option. 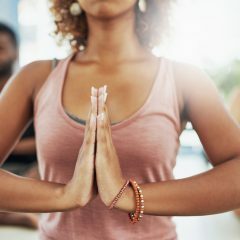 If you’re looking for a more health-conscious route to cannabis, consider this list of smoke-free experiences. Many of us new to cannabis-infused food fall victim to the same mistake: we eat too much. But when consumed responsibly, edibles can be potent and body-focused, making them perfect for people who suffer from pain, nausea, or lack of appetite. Brush up on your edible basics with this handy guide. Vaporization is quickly gaining a reputation as one of the most popular consumption methods for new cannabis consumers. The reason? It bypasses the potentially harmful byproducts that come with cannabis combustion. Learn how to vape with confidence with this introduction to how and why vaping works. All the buzz around vaporization has left little time to discuss the tried-and-true art of rolling. Learn everything you need to know about this minimalist, easily-accessible consumption method with this quick guide to joints, blunts, and spliffs. Cannabis-infused foods open up endless possibilities for the canna-sseur, but it’s important to know what you’re getting into, no matter how you’re consuming. Find out the differences between psychoactive snacks and the more familiar inhaled forms of cannabis with this handy guide. Learn about the six most common forms of cannabis concentrate available on the market today, and explore the multitude of methods that can be used to extract concentrates. The world of cannabis extracts has grown enormously in line with the legalization of cannabis across the United States. A cannabis extract is any oil that concentrates the plant’s chemical compounds like THC and CBD. Before you move into this more advanced form of cannabis consumption, learn about the complex process of cannabis extraction. Looking for the therapeutic benefits of cannabis without the cerebral euphoria associated with inhaling or ingesting? Topicals are cannabis-infused lotions, balms, and oils that are absorbed through the skin for localized relief of pain, soreness, and inflammation. The advent of more advanced cannabis extraction methods have led to a flood of concentrates that have boosted dabbing’s popularity. Take a look at this breakdown of the issues surrounding dabs, including their possible medical benefits. You’ve picked out the right strain for you, been to a dispensary, and have returned home. Now, how should you store your cannabis? 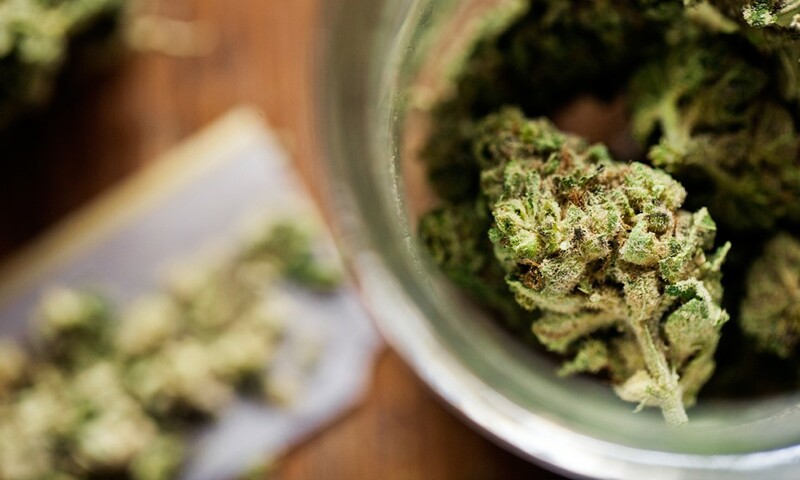 There are a few key elements to consider when storing cannabis for any extended period. If there’s one feeling no one enjoys, it’s the feeling of being too high. Whether it’s from a slow-to-activate edible, a deep breath, or a first attempt at a new consumption method, the resulting experience can be uncomfortable and enough to turn off even the most seasoned cannabis lover. Thankfully, there are ways to help come back down when you feel too high, overwhelmed, or uncomfortable. Where can u buy seeds in Massachusetts? I live in a state where I could get a recommendation for medical Marijuana. I currently buy cbd oil online so I am wondering what is the difference or benefits of using the Marijuana, as it will cost more money. Where do you buy quality CBD Oil online?